Everyone knows the power of networks. But many hiring managers and recruiters are surprised to learn that the strength of someone’s professional network is also one of the strongest predictors of individual employee performance. Professional learning networks differ from the more common social networks like Facebook, which contains mostly family and friends. Professional learning networks contain only highly knowledgeable individuals who can be approached to get answers, solutions rapidly, and to provide honest feedback. Historically when an employee needed answers, they primarily relied on their experience, training, education, or Internet searches. However, it’s now possible for an employee to quickly learn about solutions without personally possessing extensive knowledge. This new approach to learning is possible in part because of the growth of 24/7 mobile phone availability and because professionals who carry mobile phones are so responsive. This means that once their network is established, employees can quickly get information, feedback, answers, and solutions by texting or calling their knowledgeable contacts. The shift from “requiring personal knowledge” to “being able to obtain knowledge quickly from others” can’t be fully successful until the hiring process changes. And that won’t easily occur because hiring managers are accustomed to hiring based on a candidate’s personal knowledge, education, and experience. It’s fast — this approach allows an employee to quickly (in as short as a single day) gather information and answers. Diverse information — the information gathered from professional networks will be a diverse, broad cross-section of information and best practices from individuals who work at different firms and in different industries. You can refine solutions — proposed solutions can be refined more quickly because they have been critiqued by those with “fresh eyes” and different perspectives. Reduced training — there is a reduced need for formal education programs because employees can learn quickly and informally from others in their network. Recruiting is easier — This approach also helps in recruiting, because there is less competition when you are hiring individuals with less experience (but with powerful networks). Low-cost — other than employee time, learning through professional networks has few out-of-pocket costs. The strong relationship between employee networks and on-the-job performance has been verified by many, including Google, Deloitte, and the Harvard Business Review. Research shows that professional networks increase productivity, sales, leadership success, innovation, and even promotion rates. Here are some data supported quotes from notable sources revealing the connection between networks and the five types of on-the-job performance areas. Networks increase productivity — Google became famous when it used data to identify that “learning ability” was a strong predictor of new-hire on-the-job performance across all jobs. However, it also used data to determine that employees “that are better networked have better performance” (Source: Prasad Pretty of Google). Other research reveals “interactions between knowledge workers, both inside and outside the organization improves performance.” (Source: Ben Waber, i). Also, research in the increase of collaboration made possible through using networks revealed that “Productivity and efficiency were … the primary benefits of increased collaboration” (Source: InsightExpress). Networks increase salespeoples’ performance — research related to salespeoples’ performance indicates that “intra-firm social networks account for just as much (if not more) variance in sales performance as external relationships with customers” (Source: Willy Bolander, Journal of Marketing). Research by Deloitte examined the characteristics of top salespeople, and they found that “their personal networks … predict results much more accurately than the amount of sales training or experience (Source: Josh Bersin, Deloitte). Networks expand collaboration, and that increases innovation — Google research examined the impact of collaboration, and as a result “we believe that collaboration is essential to innovation” (Source: Eric Schmidt). And that is because an increased level of collaboration is a precursor to a direct increase in employee innovation. Also an external Google for Work survey covering 250 businesses revealed “efficient ongoing collaboration has a fundamental impact on business innovation, performance, culture, and the bottom line.” And, although, Google and academics have found that the best form of collaboration is serendipitous face-to-face meetings, it also makes sense to supplement this baseline face-to-face collaboration with remote collaboration, where the collaboration only occurs electronically. Networks make leaders more successful — research has shown that powerful networks are a major contributor to leadership success. For example “What separates successful leaders from the rest of the pack? Networking: creating a tissue of personal contacts to provide the support, feedback, and resources needed to get things done” (Source: Herminia Ibarra, Harvard Business Review). Networked employees are more promotable — previously mentioned, Google research found that better-networked employees have better performance. But they also found that better-networked employees had “higher promotion rates.” Other research across several Fortune 500 companies found that the highly promotable “HiPo” employees “Had 20 percent larger internal networks than their peers” (Source: Microsoft Workplace Analytics). Define what you mean by a powerful professional learning network — before you can assess if a candidate has a strong professional network, a company must clearly define what a professional learning network is. When you assess the power of a professional learning network, you obviously look at the number of professionals in it. But you can also look at whether they are well-known themselves, their credentials, their years of experience, and the firm that they work at. And of course, you can also assess the size and strength of their network on LinkedIn. 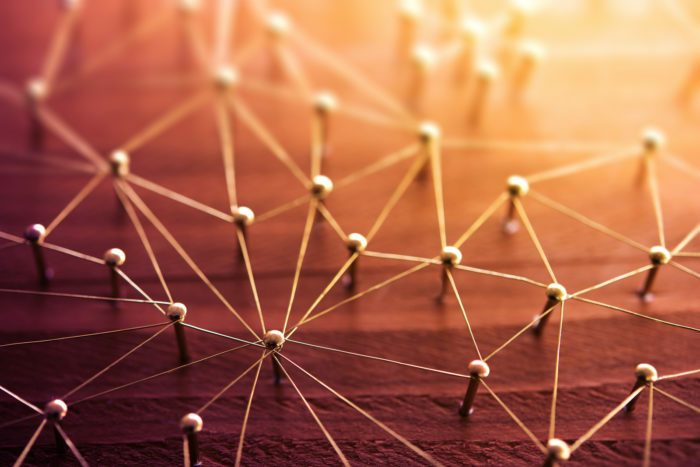 Identify recruiting prospects with powerful networks — when you are attempting to source prospects with powerful learning networks, the best approach by far is to rely heavily on employee referrals. Start by asking your current well-connected employees in the field to identify those who they connect with and those who they know to be well-connected with other knowledgeable individuals. The next sourcing step is to use LinkedIn. Because as a professional network, you can assess members by their number of connections and followers. Next, you might also look at the popular social networks of prospective candidates, based on the premise that those with large social media followings are likely also to have powerful professional learning networks. You can assess an individual’s social media influence by using social media influence measurement tools like Klout, Tweet Level, My Web Career, or Visibli. You can also source individuals who mention that fact that they have a strong network in their resume or in their LinkedIn profile. Give candidates a real problem — prior to the interview, simply give top-rated candidates a real problem that they will likely face. Ask them who they would contact to find solutions. Or, alternatively, ask them actually to use their network exclusively to identify potential solutions. And then ask them to identify what they learned and to specify which contacts provided them with the best answers. Verify that top names are in their contact lists — begin by serving your own top employees in this field to identify the names of top functional or industry experts who should be in any well-connected person’s contact list. Then ask them to show you which of these names are currently on their mobile phone, email, LinkedIn, or other contact lists. Ask them to name their most powerful professional connections — ask top candidates to provide you with the names, job title, and company of the top 5 to 10 most knowledgeable contacts they have. And then use your current employees to verify the importance of these top contacts. Verify the number of their professional contacts — ask candidates to provide you with a list of their professional contacts. Or, the total number of their professional contacts. Hold peer interviews — one of the best mechanisms for assessing someone’s learning network is to involve your employees in the process. This is because employees use professional learning networks every day. So for top candidates, schedule at least one face-to-face peer interview with the best-networked members of the team. Then have your employees who were in the interview to rank their perception of the power of the candidate’s network from 1 to 10. Ask their references — after the interview, rather than directly asking the references if the candidate is well-connected, ask them instead to rank from strongest to weakest the individual’s information-gathering capabilities. And discount candidates where their reference doesn’t list their having a strong network as one of their top capabilities. Ask them to walk you through the steps of their problem-solving process — during the interview give them a problem that they currently know little about. And ask them to walk you through the steps that they would take to acquire practical answers and solutions quickly. Alternatively, give them one of your own firm’s learning/benchmarking plans (that omits using a network) and then ask them what they would add. Or you can ask them about the learning steps that they took on a previous problem. Discount a candidate if they don’t include using internal and external professional learning networks to gather the needed information. Ask them to force-rank their problem-solving tools — many interviewers simply ask candidates directly, “Do you have a strong learning network?” However, a superior approach that avoids an obvious “yes” answer is to ask the candidate instead to force-rank their problem-solving steps from the strongest to weakest. If they rank network learning capabilities toward the bottom or they omit them, you should discount that candidate. Test their Internet search skills — being able to find practical answers on the Internet can be an important supplement to a strong professional learning network. So before or after the interview, simply give the candidate a problem and ask them to use their Internet search skills to find the best potential solution. Use data to continually improve your network-focused hiring process — to be effective, any process that focuses on hiring individuals with strong networks must be data-driven. A good starting point is to use data to verify that there is a positive correlation between the strength of the learning network of your own employees and their rate of innovation or their on-the-job performance. Next, after a number of hires, you should gather data to determine which hiring assessment approaches were the most accurate. And finally, use data to identify in which individual jobs performance significantly increases, if you hire someone into it with a powerful learning network. If you have time, also look at jobs that are already measured in dollars (sales, business development, collections,) and use the average percentage increase in the results produced by new hires in those jobs to demonstrate the tremendous dollar impact of hiring individuals with strong learning networks. One of the most powerful approaches for increasing your quality of hire is to select candidates with powerful knowledge or learning networks. And don’t let the fact that few in recruiting actually know the extremely high impact that learning networks have on job performance. And that lack of knowledge turns out to be a positive thing because it means that most candidates with powerful networks will be bypassed by other recruiters. So don’t hesitate. Tomorrow begin developing a process to assess the power of the professional learning networks of all of your top candidates. If you found that this article stimulated your thinking and that it was actionable, please follow me on LinkedIn.